A-HOTEL.com - Luxury and cheap accommodation in Semchino, Russia. Prices and hotel, apartment booking in Semchino and surrounding. Featuring air-conditioned accommodation with a balcony, Apartment on Pervomayskiy Prospekt 76 is set in Ryazan. The property is 300 metres from Victoria Plaza. Situated in Ryazan, 300 metres from Victoria Plaza, Apartment on ulitsa Vokzalnaya provides a living room with a TV. Free WiFi is offered. Apartment on Vokzalnaya 55B in Ryazan provides accommodation with free WiFi, 300 metres from Victoria Plaza and 3.6 km from CSK Stadium. Situated 700 metres from Victoria Plaza in Ryazan, Apartment on Vokzalnaya 55 offers accommodation with a kitchen. Featuring city views, this apartment also has free WiFi. Situated in Ryazan in the Ryazan region, 2 комнатные апартаменты в центре города features a balcony. It is set 300 metres from Victoria Plaza and offers free WiFi. 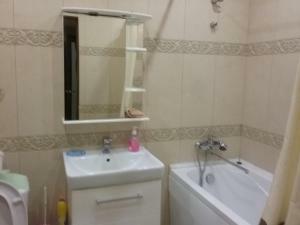 Apartment on Maloye Shosse 3 is situated in Ryazan. Guests staying at this apartment have access to free WiFi and a fully equipped kitchen.